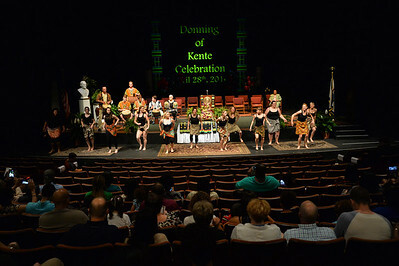 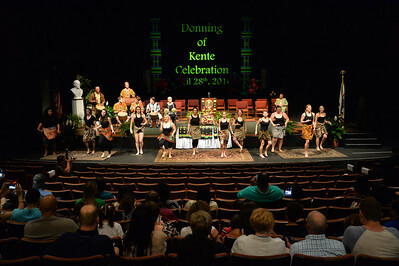 The Center for African American Students at Marshall University conducted its annual Donning of Kente Celebration of Achievement at 5 p.m. Thursday, April 28, at the Joan C. Edwards Playhouse. 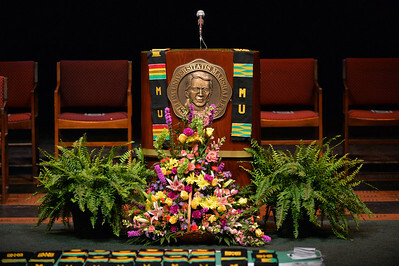 The cap-and-gown ceremony began with a processional that will include graduating students, university deans, faculty and President Jerome A. Gilbert. 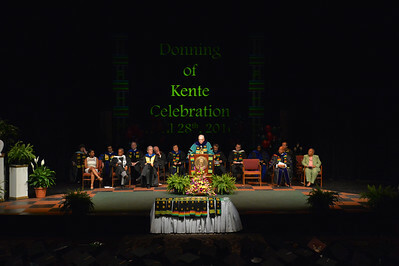 The keynote speaker was Dr. Alan Litton, president and chief science officer at Rubberlite in Huntington. 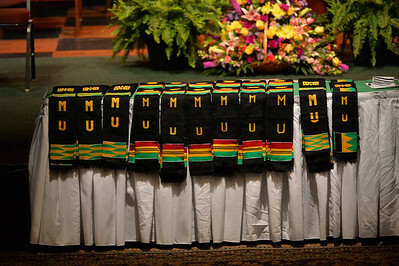 The Kente cloth, which resembles a stole and is worn with the academic regalia, is a symbol of accomplishment that has its roots in a long tradition of weaving in West African countries. 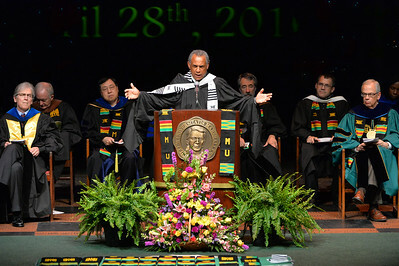 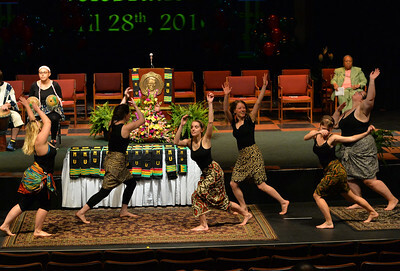 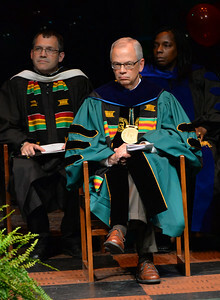 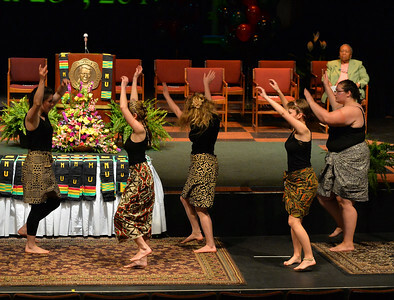 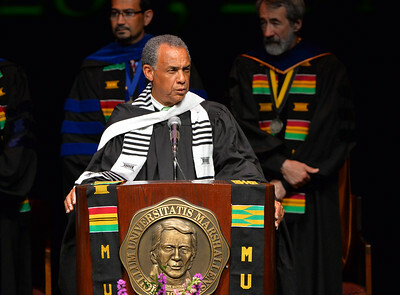 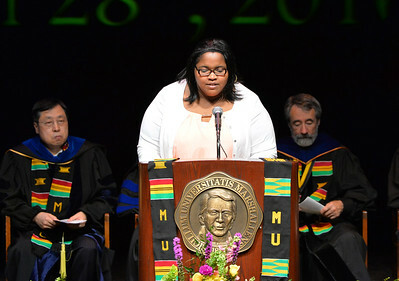 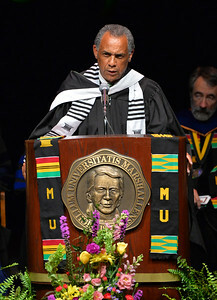 Marshall instituted this African ceremony with a tradition of presenting hand-woven Kente cloths to graduating students 15 years ago and approximately 70 students participated along with university deans, faculty and staff. 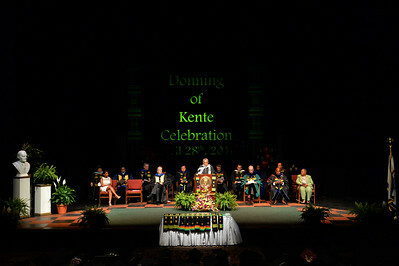 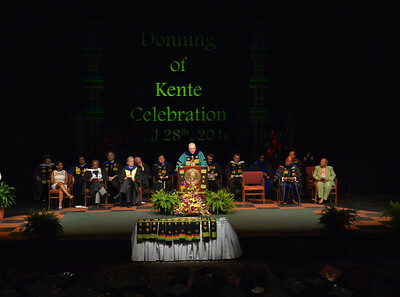 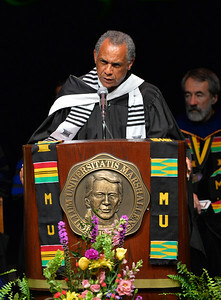 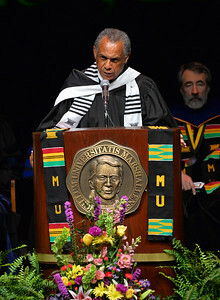 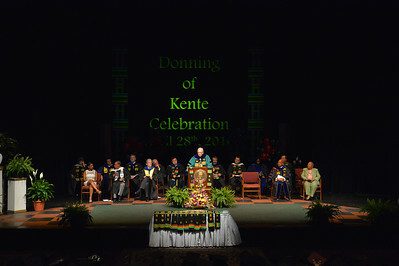 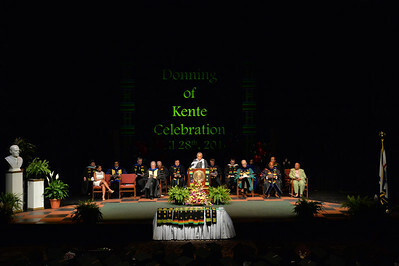 Cooley said the Donning of Kente Celebration of Achievement is one of the most prestigious and culturally significant events of the year. 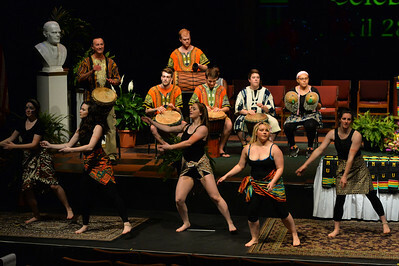 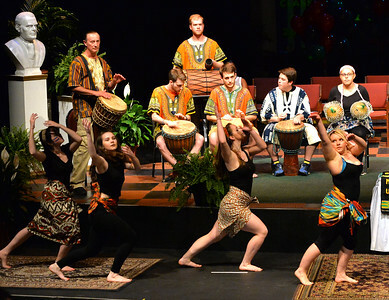 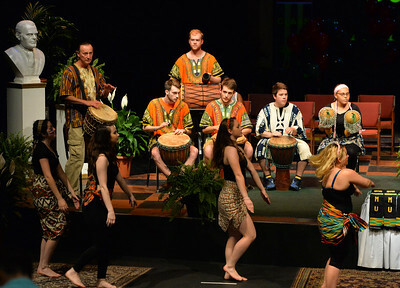 African music was provided by the Marshall University African Dance and Drum ensemble, directed by James Hall. 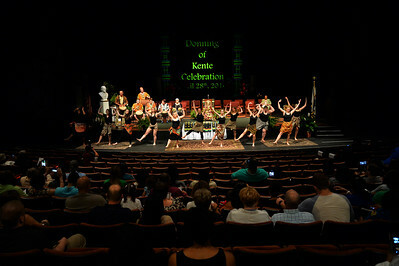 A reception followed for all participants and those in attendance.